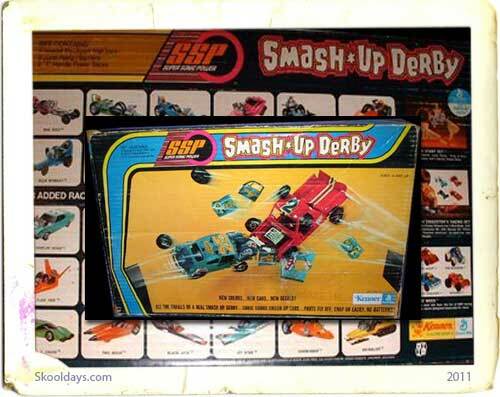 Now here is a blast from the past, who remembers the Smash Up Derby Toy from the 1970s made by Kenner SSP? The SSP stood for Super Sonic Power! These were awesome as they were actually made to break apart just like true destruction derby cars. apparently Kenner have long gone as manufacturing them but a company called Jasman now build them. So what was the Smash Up Derby craze in the seventies all about? Smash Up Derby has a very simple premise. You smash the cars to pieces, rebuild them then smash them up again. The toys came boxed as two cars, with a rip cord each, and two ramps, which allowed the cars to be launched at each other. Somehow they managed spectacular mid air collisions in the television advertisements which in true life rarely happened – oh well try again! I remember having a simple SSP Race Car one was orange the other blue. It had a rip-cord you could pull to make a gyro-wheel spin, you set it down & away it goes. These have become extremely collectible for a few reasons: They’re hard-to-find, they made many different versions, everybody has great memories of playing with them, & they’re cool! 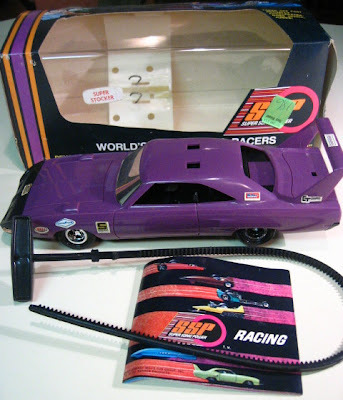 Later, Kenner made a toy set that consisted of 2 Smash-Up Derby Cars & some accessories. Usually a set of ramps to cause a mid-air collision. I know many kids remember happy memories with these Smash Up Derby Toys so feel free to add your below. Seeing Kenner’s “Smashup Derby made me smile with some good memories. My brother, my cousin and I received these as a christmas present when we were around 8 years old. My brother and I had the “slug bug’ pick up truck set. We both remember the one time we had the best crash we ever had as they hit the ramps and met in mid air sending pieces flying. We never did find all the pieces. 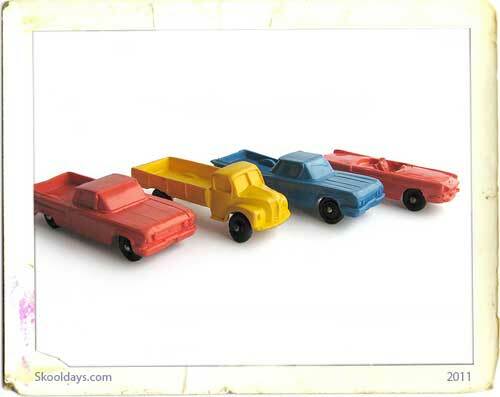 Wow!, I thought I was the only one who remembered these smashup derby cars. I’m with Dave, My cousin and I spent many a rainy Saturdays plaing with these cars. Good memories indeed! I had something like this in the early 2000s. Did they make anything like this around that time period? I only remember the 1970s Smash Up Derby – any idea what the new version was called or who made it? I have a brother 15 years younger that was born in 76. This was his FAVORITE toy. He would smash this car into the General Lee (Dukes of Hazard) or the Fisher Price bus loaded w the people. He played w this hours upon end. I would give anything to find a set to give him. 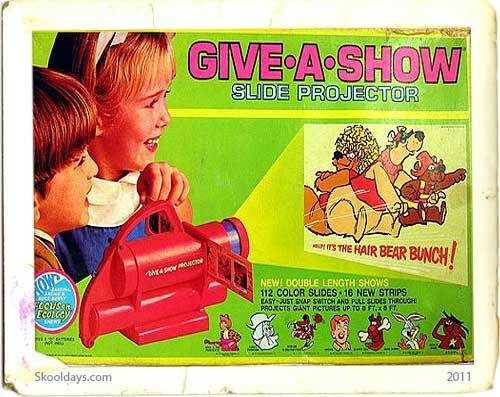 My God, I had forgotten about this toy completely. It brings back such a wonderful feeling just to see it again! I remember playing with a couple of the cars (one was orange with red doors and hood, if I recall correctly and the other was blue with green cars and hood) in the parking lot of my house, in Quebec city. That was the mid-seventies. What a blast from the past! So my husband since he was little wanted one but he never got one. He is turning 51 and would love to buy him a smash up derby set..where can i buy one..